Is Vaporizing A Healthier Alternative? Everyone knows that smoking is incredibly harmful to your health. However, recently the public has been making more health conscious choices and more and more people are making the switch to vaporizers. For many consumers however the question still remains, are vaporizers healthier than traditional combustion? Some of the confusion about vaporizers may be a result of vaporizers of the past. Originally herb vaporizers were developed for medicinal use. Vaporizers were used to heat organic plant materials in order to deliver the specific medicinal properties of those plants to patients with illnesses such as asthma, bronchitis, pulmonary embolism, and other respiratory conditions without many of the harmful side effects of smoking. One of the earlier recorded uses of vaporizers was in the treatment of lung cancer. No one could imagine at that time that vaporizers would one day be such a common tool in holistically treating and preventing this and many other diseases. Inhaling any smoke is known and proven to be dangerous to your health, even if the smoke is simple an airborne pollutant or industrial fumes, it’s unhealthy no matter how we look at that. Fortunately with vaporizers you are playing it much safer and making a much healthier choice. Vaporizers do not produce smoke and the vapor itself does not contain the same hazards as smoking. A portable vaporizer is a substitute with clear advantages of any other smoking option. In addition to the obvious health advantages vaporization also prevents some of the more superficial side effects of smoking such as the smell on your clothes and hair and that nasty ashtray effect on your belongings. Is vaporization healthy? Yes! Vaporization is a much healthier alternative and may even lead to a healthier more satisfying lifestyle once you no longer have to deal with those superficial side effects of smoking. As we mentioned previously vaporizers do not produce any smoke in the traditional sense of the word. This means that you can take a puff from a vaporizer and yet you will not produce any smoke. You will however produce vapor and that is much better in so many ways! Regular smoking is a major health problem, particularly because the smoke left behind in a room is harmful not only to yourself but also your friends and family via second hand smoke. This is why there has been a somewhat recent surge in laws banning smoking in many buildings, restaurants and public places. Vaporizers do not produce secondhand smoke so you can rest easy that any risk to be taken is yours alone. Vapor is also great because it won’t stick to your hair, clothes, walls, and everything else. Is vaporizing healthy? Yes! From the approach of not releasing harmful substances or unpleasant aromas into the environment. 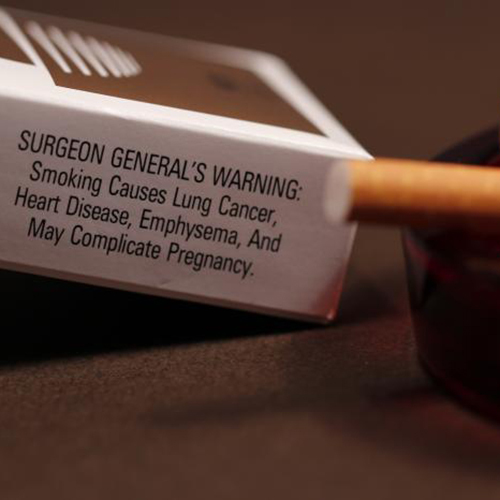 One major concern for the public in regards to smoking is secondary smoke. The effects that "secondary smoking" produces are even more harmful for the non-smoker than for actual smoker. This secondary smoke -- sometimes referred to as passive smoking -- effects usually start with an occasional coughing experience. In addition, experts agree that vaporizing is a much more efficient and cost effective alternative when compared to smoking. This means that you will use less of your consumables to achieve the same effect. Is vaporizing healthy? Yes! Vapor is unlikely to irritate respiratory tract and will not negatively affect the health of the people around you. You can check out this article to learn about the top 5 portable vaporizer you can try. There is no good reason to smoke! 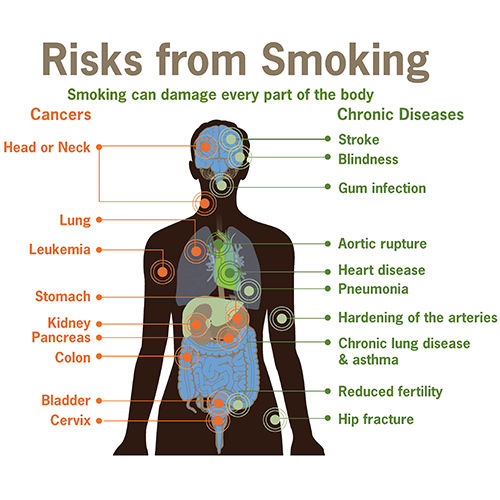 It has been well documented that smoking can cause cancer, respiratory disease, and cardiovascular disease. However some of still love it and that is where the alternatives come in. However, when it comes to vaporizing, the benefits of your herbs and oils are likely benefitting your health rather than harming it. Additionally, since the vapor is much less likely to irritate your respiratory system you are able to hold in your hit for longer and the vapor is readily absorbed. Is vaporizing healthy? Yes! Depending on the vaporizer you are using. You will definitely want to make sure that you are getting best vaporizer available so you can be sure that your materials are vaporizing rather than combusting. You can be free of the habit and only vape when you want! Unlike nicotine and other consumables you are very unlikely to develop a physical addition using a vaporizer. You can enjoy trying different aromatherapy blends and essential oils without the fear of becoming dependant. It’s truly fascinating how some herbs provide energy while others help you to relax. It’s a lot of fun and you’ll likely find yourself trying all sorts of new aromatherapy blends as you craft your experience. Moreover, if you are already addicted to smoking, a good portable vaporizer can help you stop smoking. Vaporizers are commonly recommended as an effective, alternative smoking method to help you break your regular smoking habit. Is vaporizing healthy? Yes! If for no other reason because vaping non-nicotine dry herbs and essential oils is not addictive. Check out the video below for additional information why vaporizing is healthier than the traditional smoking. Many people ask if there is a consequence to long term exposure to vapor. No! You can use your vaporizer any time and for as long as needed. You will however want to make sure that you are getting the best vaporizer available as you want to prevent overheating to the point of combustion, fumes, and vaporizing plastic that can sometimes happen with inferior devices. Unlike regular smoking no government warnings or statements have been set in place to prevent or discourage you from using your vaporizer as much as needed! Is vaporizing healthy? Yes! Vaporizing is a much healthier alternative to smoking. If you choose a device such as the Ascent vaporizer with precision temperature controls you will have complete control of your experience and can feel confident that you will not be inhaling harmful materials due to the vaporizer itself. Be sure to get the best portable vaporizer available! Good devices like the DaVinci Vaporizer or Ascent Vaporizer have those precision temperature controls that in addition to prevention combustion also allow you to get the most from your plant materials, essential oils, and aromatherapy blends. Plant matter contains a variety of naturally occurring chemical compounds. Each of those compounds vaporizes at a specific temperature. By having the ability to precisely control your temperature you can also control the effect that your receive from vaping. Most herbal vaporizer companies including DaVinci can also provide you with a temperature guide to help you get started. Is vaporization healthy? Yes! Unlike with smoking vaporizers allow the user to get the most out of their aromatherapy blends by controlling the experience. Smoking and other habit-forming hobbies may cause health problems when they get out of control. Some of the chemicals in traditional smoking can cause free radicals, toxins, and even radioactive particles to attack your body. Still addiction is a serious problem and some users may not even be aware of the consequences of what they are inhaling. Is vaporizing healthy? Yes! You can rest assured that vaporization is unequivocally a smart, healthier, and cleaner choice than smoking. Enjoy the health benefits of your dry herbs and essential oils without fear! To find out more about vaporization and to get support as you journey toward smoking cessation read more on our website or join our communities on Facebook, Instagram, and Twitter.